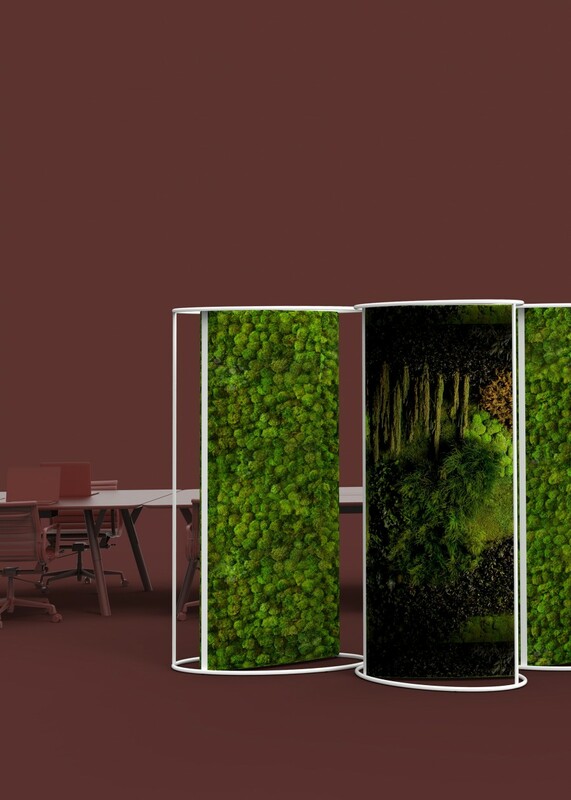 The G-Divider is designed to act as a dynamic space divider and is ideal for placement in large interior spaces such as open-plan offices, reception areas, conference rooms and event halls. 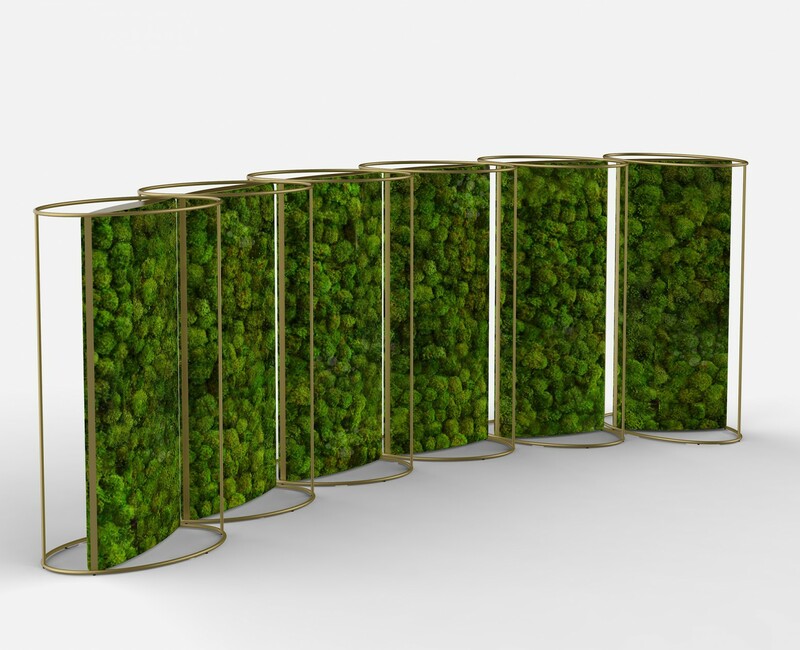 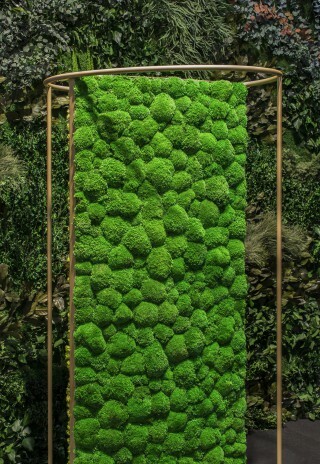 It is a moss-covered panel contained within an oval-shaped metal frame. 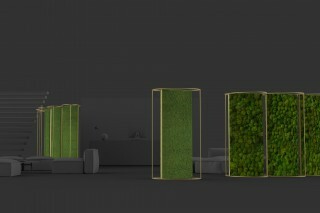 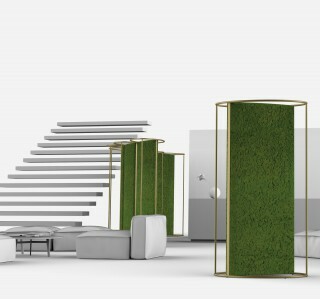 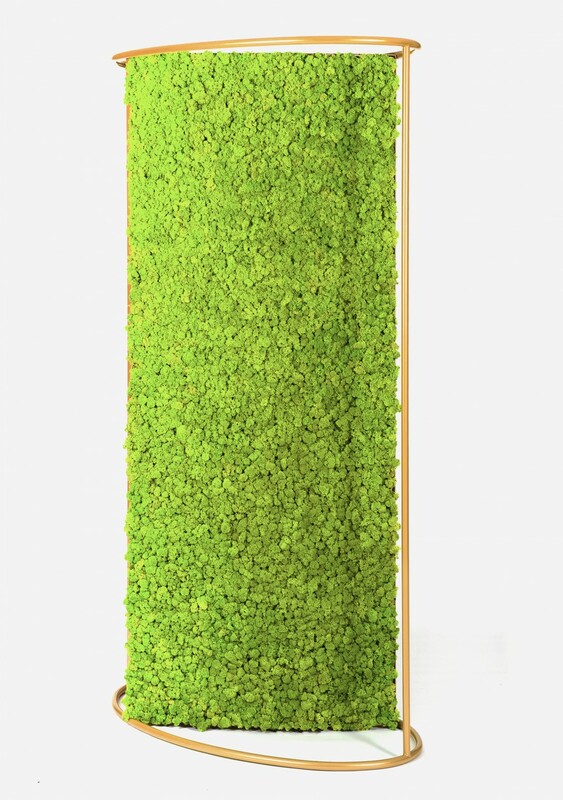 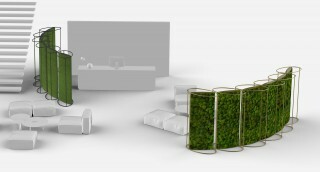 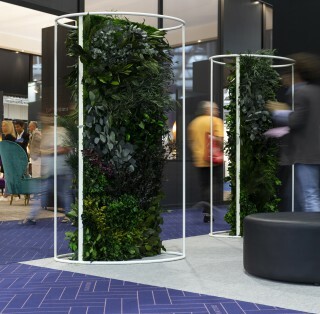 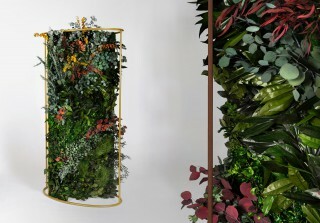 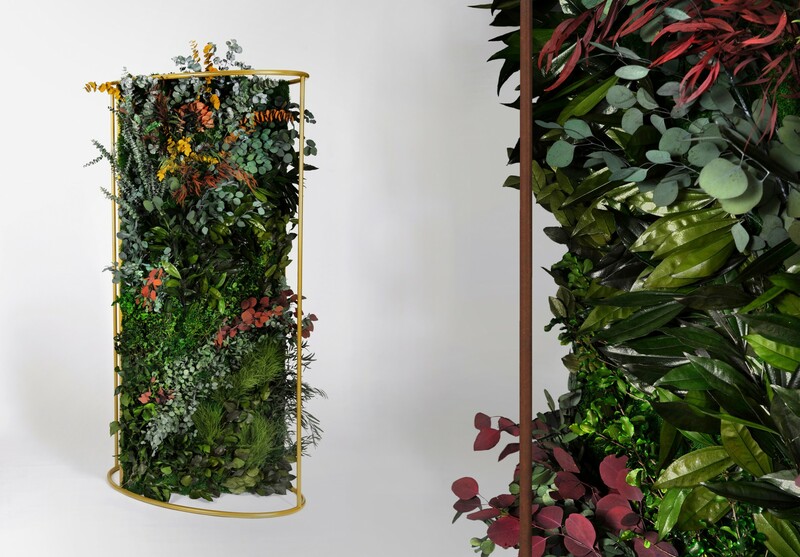 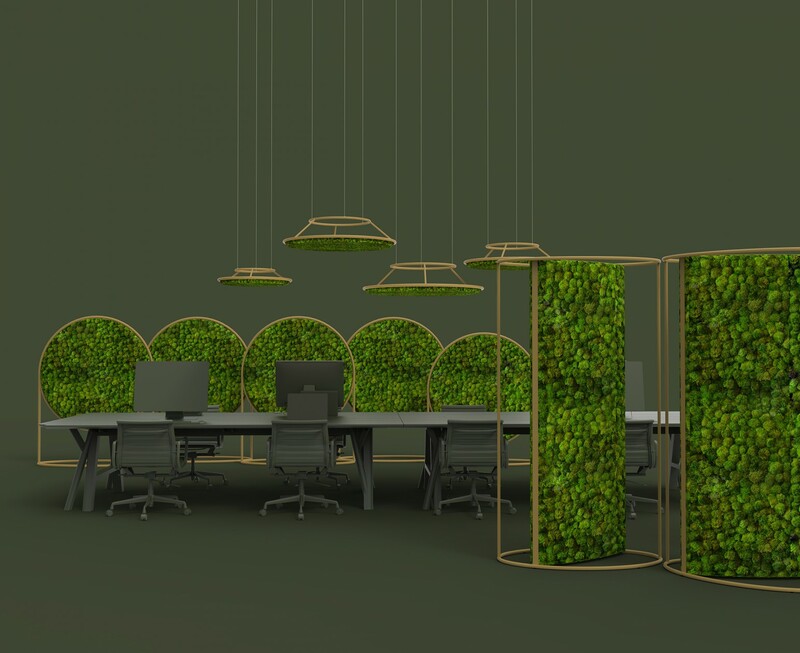 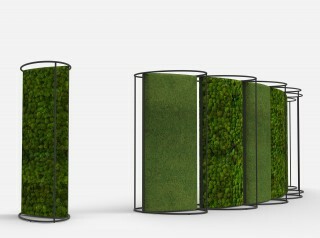 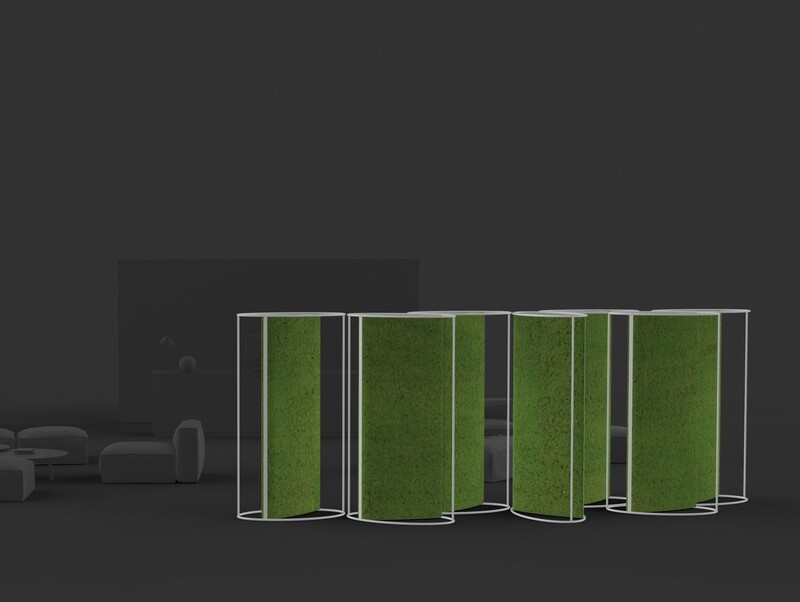 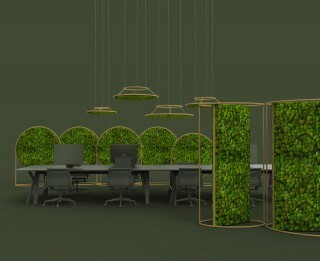 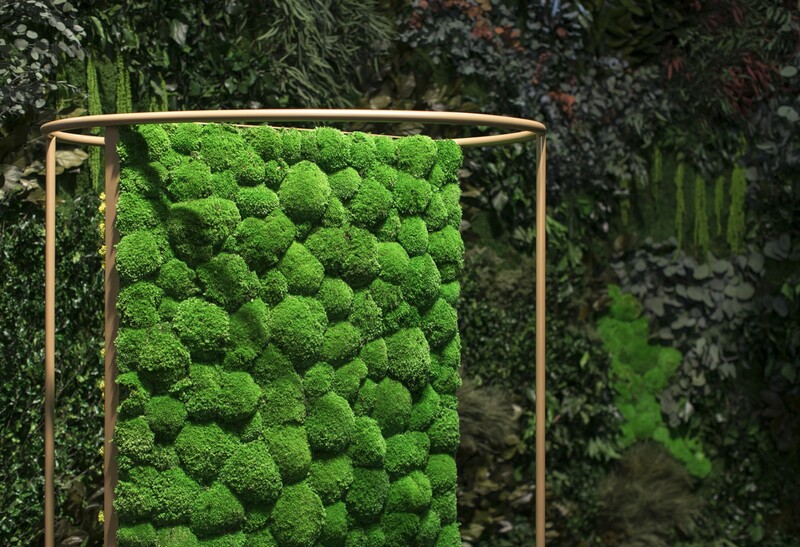 The fully preserved natural moss and lichens absorb ambient noise and provide an attractive natural barrier between different functional spaces. In this case the surrounding metal structure truly acts as a visual barrier protecting the very lively natural creations that can be created within this inner space. The G-Divider is a very sculptural and dynamic creation that conveys an impression of movement within the shape, as if the moss-covered rectangles were turning around the tracks defined by oval rails at the top and bottom. 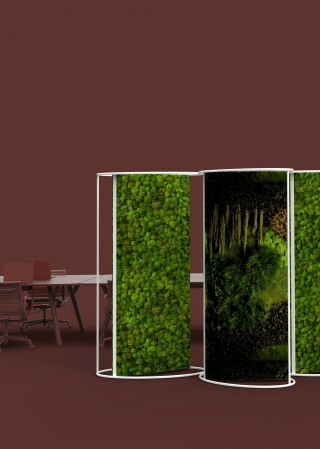 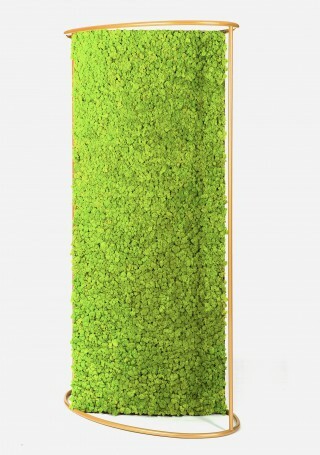 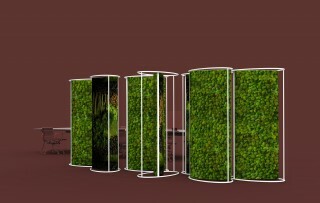 The rectangular panel with a cornered top features moss attached to both sides. 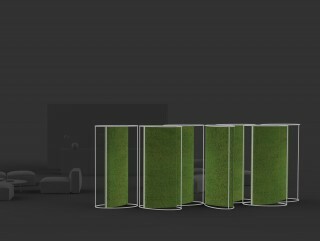 This allows for people in front and behind the G-Dividers to benefit from their sound absorbing qualities and aesthetic beauty. 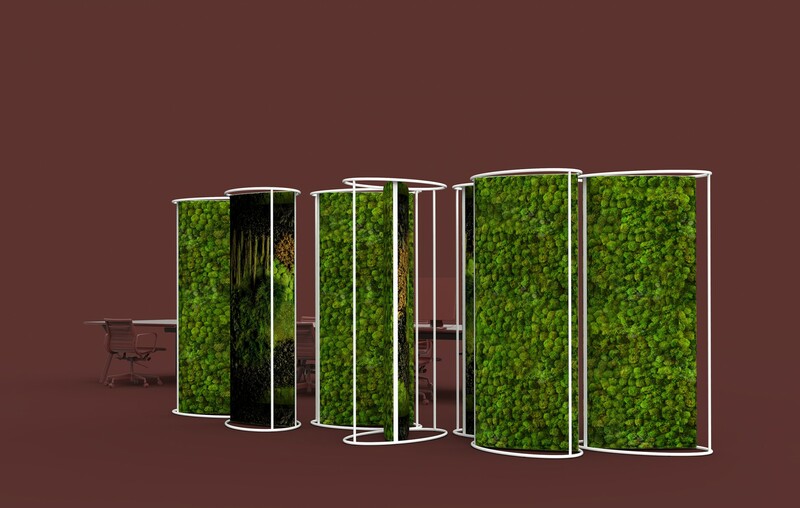 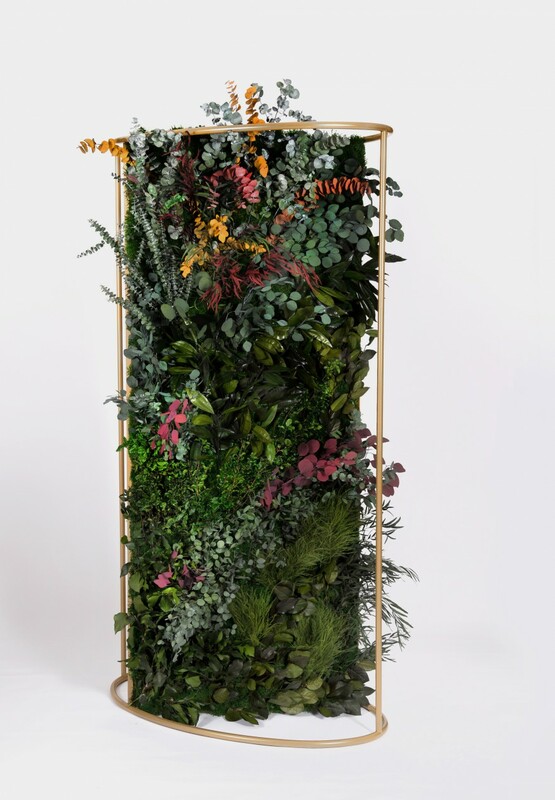 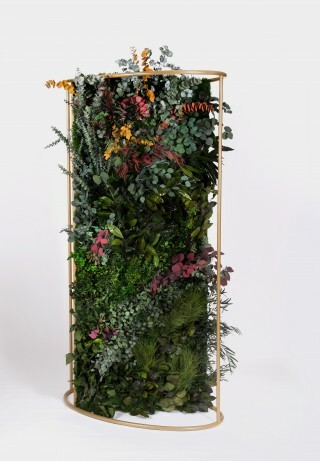 The framework and panel can be manoeuvred easily from one position to another, and create an eye-catching natural wall when placed together with other similar dividers. 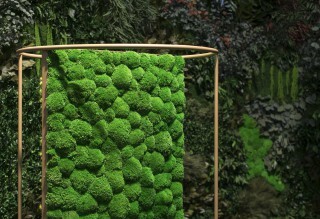 The main components of the products are preserved plants, most notably moss and lichen. 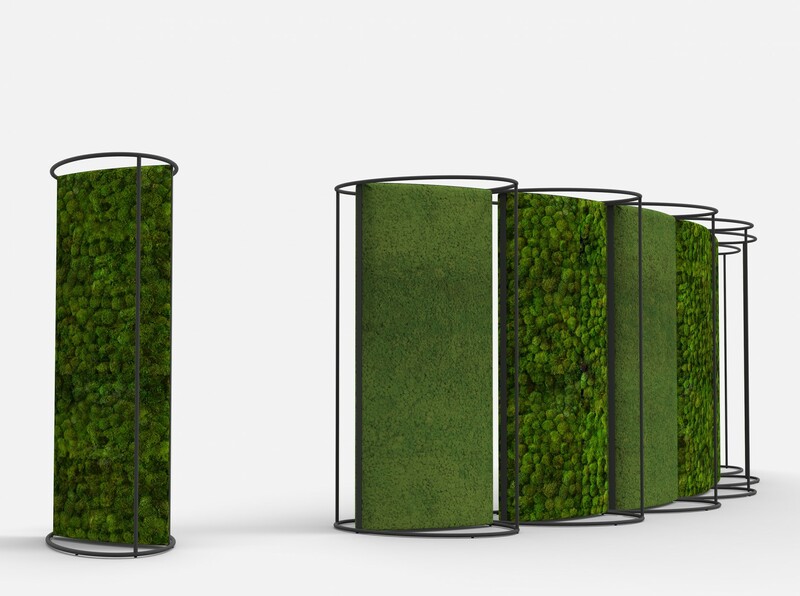 These materials require absolutely no maintenance – no pruning, no watering, no sunlight. 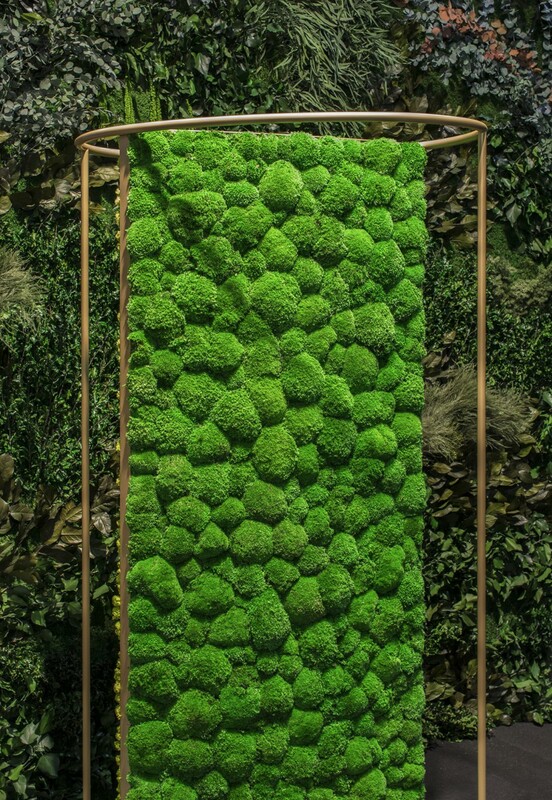 All the raw plant materials are carefully harvested by hand and painstakingly preserved using specialist techniques. 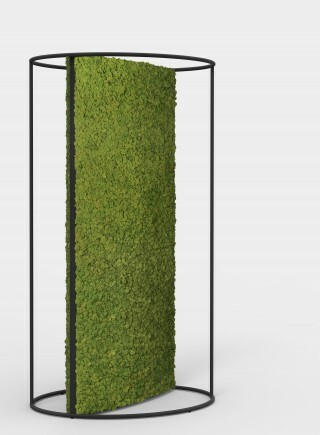 Each G-Line product acts not only as a natural sound absorber but also helps to reduce stress and promote the general wellbeing we usually find when out walking in nature.